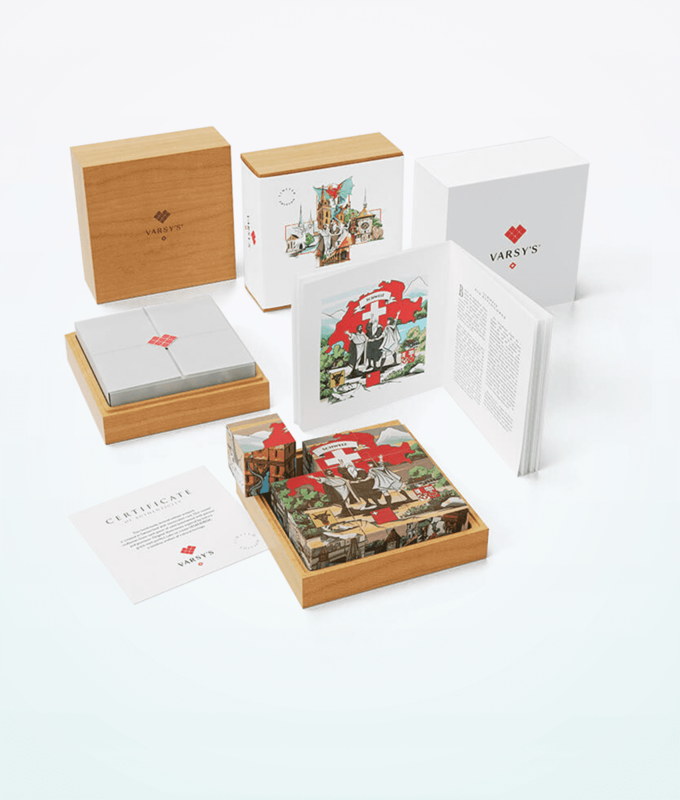 Varsy’s Legendbox Limited Edition Set 1 includes the following legends: Basel, Bern, Geneva, Luzern, Zurich, and Switzerland. These are original stories of Swiss cultural heritage. Varsy’s Legendbox Limited Edition Set 1 contains nine perfect cubes. When you rearrange them, they’ll display six different Swiss legends. Creative people at Varsy’s were using their custom technique to reveal the delicate wood grain beneath. Furthermore, they were using only natural materials to limit environmental impact. Legendbox Limited Edition Set 1 includes the following legends: Basel, Bern, Geneva, Luzern, Zurich, and Switzerland. Ancient sources have been the basis for research of each legend. Afterward, they’ve put these stories into the contemporary language to make reading and sharing fun and easy. 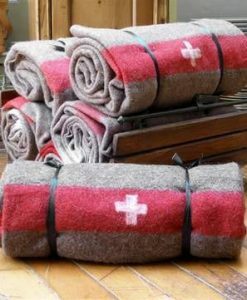 These are original stories of Swiss cultural heritage. Hence, this is a perfect birthday gift for your loved ones, to experience and share the magic of Swiss legends. This set also includes a high-quality outer box and a solid beechwood display box. Furthermore, there is a full-color booklet on sustainable FSC-Certified paper which contains the text of each legend in both English and German. Varsy’s Legendbox has the most vigorous design, with the apparent influence of legendary Swiss precision. Their durable printing is waterproof, scratch resistant and child-safe. Also, inks have Greenguard-GOLD certification, which means they are safe for use in schools and in healthcare facilities. The company takes great pride in craftsmanship, sourcing sustainable woods and paper products, while also using child – safe, eco – friendly inks and materials. Varsy’s has won the prestigious 2018 Good Design Award, which is one of the oldest and the most relevant international design awards.